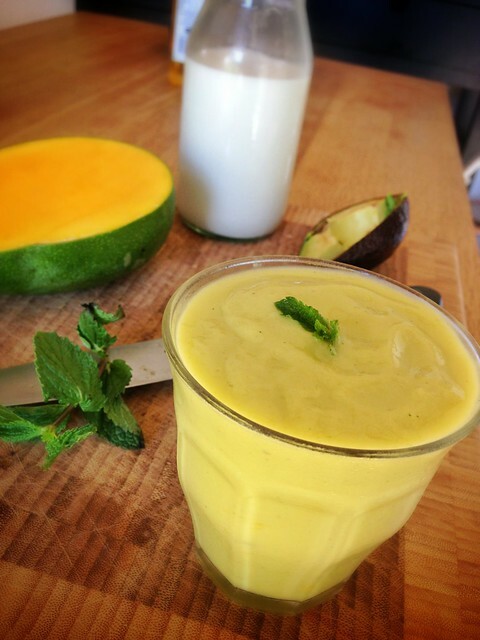 Breakfast: Mango, avocado and mint smoothie. Very good! Snacks: Celery with hummus and salsa macha. An apple or two while wandering around the orchard. Dinner: Sesame crusted haddock (adapted from this recipe for crisp sesame fish fillets – I added smoked paprika with the sesame) with more of the infamous veggie noodles. I love them, but it’s time to take a break from the veggie noodles. Today was a bit of a weird one. Due to last night’s late meal, I couldn’t have my first meal until about 11am. So I didn’t really have lunch, and then I had a fairly substantial dinner. After yesterday’s quinoa flour fail, I tried sesame crusted haddock which worked much better. But I was basically repeating last night’s meal and was a little bored with the whole thing. It’s time to mix it up! I have some ideas. They involve quinoa, the seed not the flour. I am also going to try to be more gung-ho about the liquid meals “rule” and stick to having my liquid meals at breakfast and dinner. 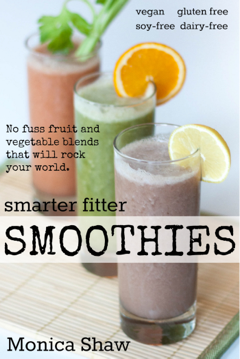 So far I’ve been mostly having smoothies for breakfast, soup for lunch and a “solid” dinner. But the problem is that I’m often REALLY hunger at dinner time and I think I overeat – the proof is in my digestion, and I’ve been feeling a little sour-stomached in the morning. (Proof that you can eat too many vegetables.) 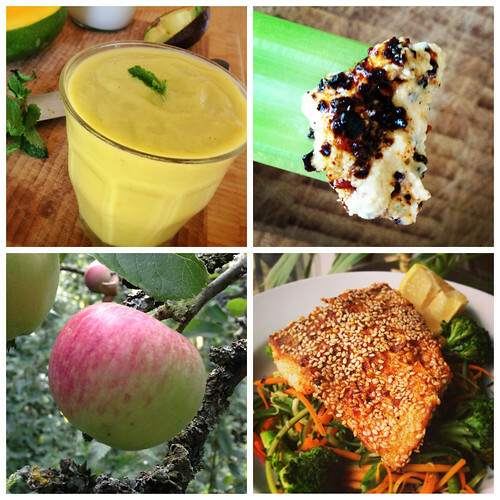 The opposite of the Clean detox intention! All that being said, I’m feeling pretty good. This “detox” is pretty easy, and actually very fun, and I must admit it’s been really nice feeling super good throughout the weekend (vs spending Saturday and/or Sunday feeling less than stellar due to weekend drinking and foodie indulgences). Glad you enjoyed your cashew milk. I just bought a mango and an avocado. Perfect timing! I will try it tonight. This morning I had a Star Fruit, Kiwi, Blueberry Smoothie. The Star Fruit were on sale and I had never had one before. I have been using coconut milk, and now bought the unsweetened one. I used the last of the vegan smoothie supplement and bought almond butter and avocados. Today I made a tuna salad for my solid meal. Ginger, carrots, green onions, red cabbage and celery with lemon, salt and pepper. I kept adding more and more lemon. Been eating a lot of peaches since it is peach time. It is the substitute for my sugar snack when I start looking around for something to eat. The time it takes to peel and eat I feel I had a meal. I find I am hardly even interested in dinner. I have a very big lunch and run or bike in the early evening. So I just get some greens and an apple and juice it. So overall I have lost 5 pounds since starting this (day 5). It must mean I am allergic to something I removed. I have been keeping the calories between 1500-2000 so I am not starving myself. Very interesting. Maybe there is something to all this! I suspect there is a reintroduction process of foods to see if I have an aversion once the 21 days is over? Sorry so the long windedness! Vikki, I adore your long-winded comment and I loved your update. Wow, I’m just super impressed. If part of detoxing is breaking old habits, then I need to break the habit of dinner being my main meal. I like your idea to do something ACTIVE in the evening. Think it’s time for more pre-sunset dog walks. I’ve lost about 3 pounds so far. Though I read last night in the book that “one of the smartest things you can do on the detox is stop weighing yourself because this isn’t about losing weight, it’s about feeling good” (I’m paraphrasing). I’m fascinated by the numbers, though. I dig the sound of your tuna salad – I love my lemon too. Try adding the zest, too, next time. It will rock your world!